The Müller-Guttenbrunn Group is carrying out more and more transports by rail. This protects the environment and the company budget. New freight wagons are currently being tested with the Rail Cargo Group. The MGG Metrec plant in Amstetten could not have a better location, just along the Westbahn. No wonder that Müller-Guttenbrunn has been using rail as a means of transport since moving here in 1976. In recent years, however, rail freight volumes have increased significantly, as Christian Buchheit of the Rail Cargo Group (RCG) confirms: „The previous year was an absolute record year. In the two plants MGG Metrec and MGG Metran alone, 240,000 tons of material were handled“. That means many fewer trucks on the road; some 12,000 truck trips (and enormous CO2 emissions) have thus been saved last year. RCG customer advisor, Buchheit has been looking after the wishes and concerns of the Müller-Guttenbrunn Group for almost 20 years. He is working particularly closely together with Michael Grimm, Managing Director of MGG Metrec. Together they not only work on new ideas, but also clarify the daily routine questions: How many wagons are needed the following day? Where does the transport take place? What has to be considered? The new wagons arrive every day between 6 am and 7 am on the three tracks and are then filled throughout the day before they are picked up after 5 p.m. to be transported to their destination. An important detail is that each individual wagon must be checked for radioactivity in accordance with the regulations. The cooperative partnership between Müller-Guttenbrunn and ÖBB makes this possible. In addition to the RCG wagons that are used, the Müller-Guttenbrunn Group itself has its own railway wagons. 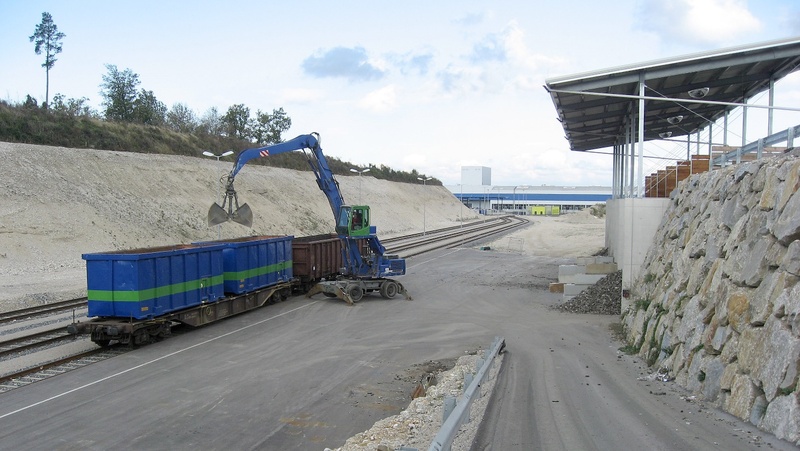 Two of these wagons allow daily transport to and from the MGG plants in Amstetten and Kematen. The driving force behind the siding of the railroad track at the Kematen Business Park around seven years ago was the Müller-Guttenbrunn Group. A lot of convincing had to be done to pave the way for the environmentally friendly transport option. As many business partners of MGG Metran have a rail connection, Metran’s own freight station is a decisive advantage. The Müller-Guttenbrunn Group also handles many transports from and to foreign countries by rail. Important destinations are Italy, Germany or Hungary. „We have also carried out transports of recycled material to and from France or the Benelux countries. And we also delivered scrap from Poland or Romania to Amstetten by rail,“ says RCG customer service representative Christian Buchheit. 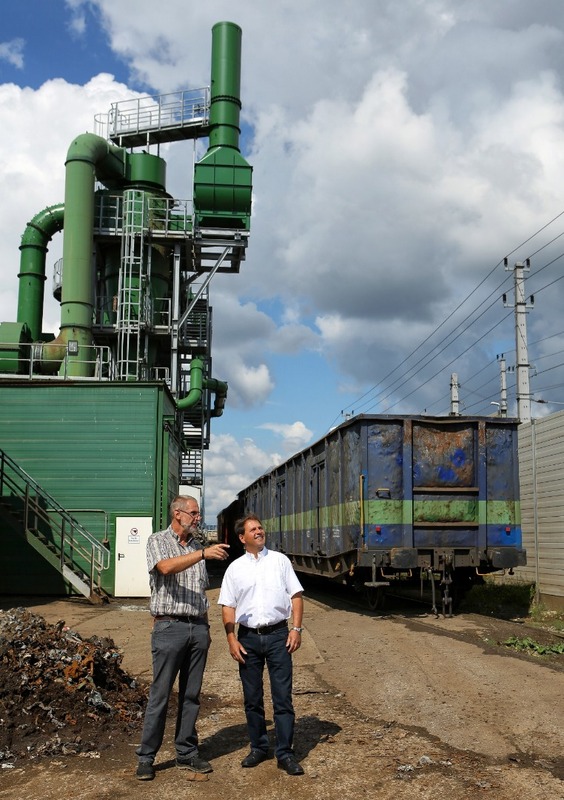 However much one likes to use the railways as a means of transport, once a year the wagons become scarce in any case, reports MGG Metrec Managing Director Michael Grimm: „When the sugar beets are harvested from mid-September, it is not at all easy to get the necessary wagons“. Perishable beets are transported with the same type of wagon and have right of way during this time. The Müller-Guttenbrunn Group must therefore sometimes bite the bullet. In order to eliminate such bottlenecks, MGG is happy to work on the further development of freight wagons. The constant optimization is not only lived in our own recycling plants, but also in cooperation with the Rail Cargo Group. For some time now, the company has been testing converted, lighter transport wagons that can carry two additional tons of cargo. Any experience can be helpful here for the future in which rail transport might play an even more important role for the Müller-Guttenbrunn Group. In any case, there are more than enough ideas to make even more intensive use of the raw materials highway. In 2017, the Müller-Guttenbrunn Group transported around 240,000 tons of material by rail to and from the two plants MGG Metrec in Amstetten and MGG Metran in Kematen alone. This corresponds to 12,000 truckloads. A comparison of CO2 emissions from rail to truck shows just how environmentally friendly rail transport is. The Müller-Guttenbrunn Group was able to save 4,084 tons of CO2 emissions with its rail transports last year. Rail transport is also sustainable: over 90 percent of the electricity used for rail transport in Austria is generated from renewable hydropower.